Traveling to interesting places, vivid cities and exciting countries all around the world is an awesome thing to do and excites people throughout their lives. For inspiration about new locations and for booking journeys or trips, most people search the internet for ideas and great travel deals. If you are running a travel agency, offer tours and trips or in case you’re traveling and would like to present your journey online, then WordPress in combination with a suitable travel WordPress theme is the ideal solution. 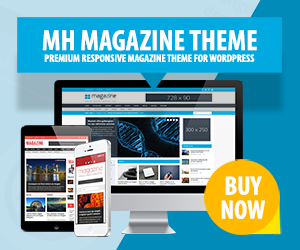 There are many great travel WordPress themes for different purposes to select from. For example if you are running a travel company or agency and need a fully-functional booking system, then there are all kinds of ideal travel templates to choose from. And in case you are a travel blogger and frequently write about latest trips, then simple blog or portfolio travel templates could be a great choice. In general, there are various travel templates which can be customized or tweaked accordingly to meet your personal requirements. While looking for travel WordPress themes, make sure to pin point what exactly you are looking for. When it comes to travel WordPress themes, there are flexible and powerful traveling templates which offer compatibility to popular plugins like WooCommerce to extend your website’s functionality and on the other hand, there are minimalistic, plain and simple travel themes suitable for exactly such kind of travel websites or personal and corporate travel blogs. Concierge is a high-class WordPress theme for websites offering traveling and other luxury lifestyle services. Concierge provides you with all necessary features to create nice and appealing websites. This minimalistic WordPress theme comes with WooCommerce based booking system, great filtering and searching, fully responsive design and WPML compatibility to run a multilingual website with ease….